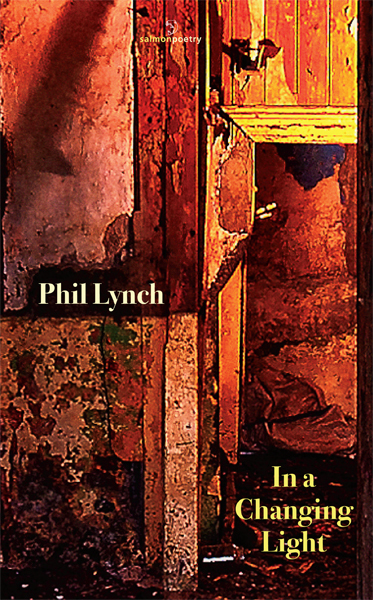 Phil Lynch’s debut poetry collection takes us on a journey of encounter, observation and questioning – to places real and imagined. His themes range from the personal to the political (with a small p, at least) and from the local to the global. There are poems inspired by love, loss, landscapes and landmarks: reflections of diverse moments glimpsed through the poet’s experiences and his brushes with the wider world. Through poetry, he is trying to make sense of a constantly shifting world; a world difficult to hold long enough to extract answers to questions posed. Lynch’s poetry is lyrical and rhythmic, an accessible mix of styles incorporating rhyme and free verse forms to fit the mood of the moment. The poems are playful at times, serious and sober at others. Phil Lynch lives in Dublin. He also lived in Belgium for a time. Most recently, his poems have appeared in, amongst others: Even The Daybreak: 35 Years of Salmon Poetry, Revival, Bare Hands Anthology, Bare Hands Poetry (online), Boyne Berries Series, The Poetry Bus, Headstuff, OFi Press Literary Magazine (Mexico), Wordlegs, The Runt, Census 3, Circle Time, Headspace, Silver Apples Magazine, Bray Arts Journal. He has also been featured on the Arena Arts Show and the Poetry Programme on RTE Radio as well as on a number of local radio programmes. 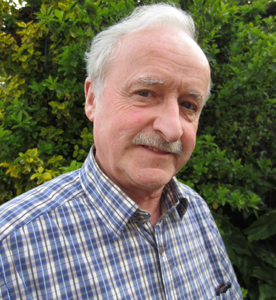 In 2015, he was placed third in the Doolin Writers’ Weekend Poetry Competition, shortlisted in the Red Line Poetry Competition and longlisted in the Dermot Healy International Poetry Competition. In 2014 he was a runner-up in the iYeats Poetry Competition and longlisted in the Over The Edge New Writer of the Year Competition. He is a regular reader/performer at poetry and spoken word events and festivals in Ireland and further afield, including Electric Picnic and Cúirt festivals and events in London, Paris, Brussels and New York. Phil is a co-founder of Ireland’s only spoken word festival, Lingo, and is a member of the Dalkey Writers Workshop. in a shop that is somewhere else. it says on his board. now it looks like rain again. He pulls his hood up over his knitted hat. in his tightly gripped bag. from the sunniest of places. is in the next street. The sunshine is still someplace else. of your lips on my face.